Catalonia’s “Succession” from Spain was Fake News. A few weeks ago the media were filled with stories about the Catalonia “seceding” from Spain and setting itself up as an independent republic. There were mass demonstrations in the streets, some violence, and a determined band of secessionist political leaders giving incendiary speeches. The breathless media reporting referred to a “referendum” (which the Spanish government declared illegal and did everything possible to stop), which purported to show 90% of Catalans supported separating from Spain. As a result, Spanish markets sold off, and the euro declined on fears that secession in Catalonia would embolden other separatist movements in Flanders, Milan, and elsewhere. Suddenly the story has gone away. The separatist leaders are in jail or are fugitives abroad. 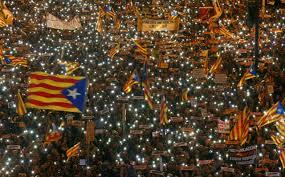 Calm has returned to Barcelona, the largest city in Catalonia. Spanish markets and the euro have both rebounded. What happened? It turns out that a lot of the reporting was fake news. The 90% polling result was completely skewed because anti-secessionists refused to participate. The “vote” was self-selected for those favoring secession and not representative of the total population. As this article shows, a more scientific poll found that only about 25% of Catalans actually support secession. The lesson for investors is an obvious one. You need to ignore the hysterical, and focus on the historical. Spain was scarred for decades by the Spanish Civil War of the 1930s. Those wounds have barely healed, and today’s Spaniards don’t want to reopen them by fighting another civil war in Catalonia. The sell-off was a great time to pick up Spanish stocks on the cheap.